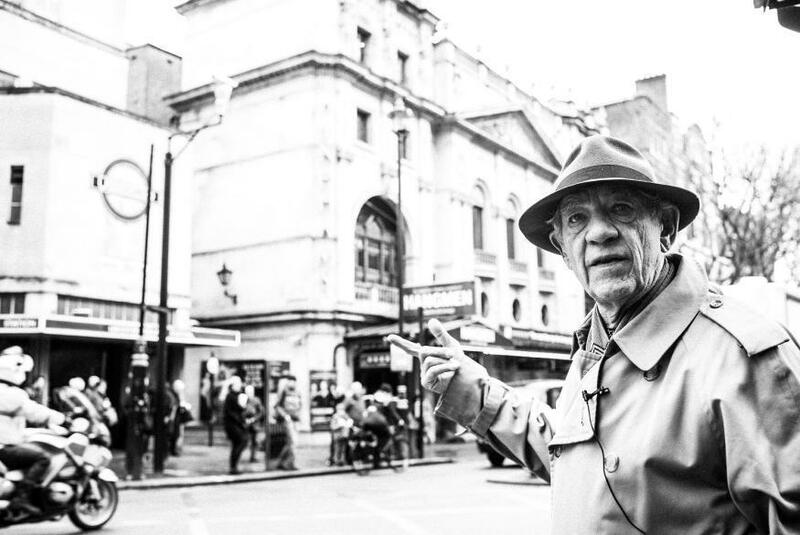 Ian McKellen outside Wyndham's Theatre. Photo: Matt Humphrey. If you ever wanted Ian McKellen to whisper sweet nothings in your ear, that time has come. Download a new, free walking tour to your phone and hear the great thesp guide you around London's theatreland, telling you anecdotes from his time in the biz. The tour is made by Society of London Theatre and VoiceMap. Start at the TKTS booth in Leicester Square (which has free Wi-Fi if you haven't already downloaded the VoiceMap app; once on your phone the app works offline). Sign up, then search for Ian McKellen's tour. The walk lasts just over an hour and takes in the Royal Opera House, Somerset House, the National Theatre (where McKellen played Richard III; move over Benedict Cumberbatch), the National Portrait Gallery and Trafalgar Square. To find out more about the tour, visit the VoiceMap website.